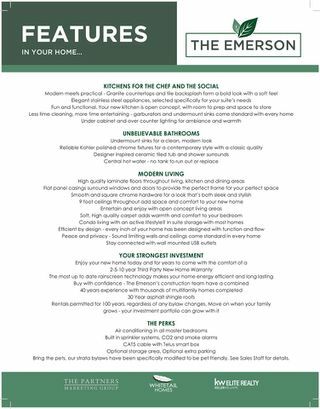 EMERSON, Maple Ridge’s most elegant new condominium community. 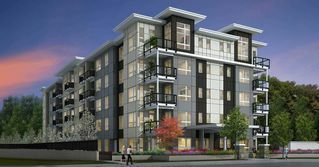 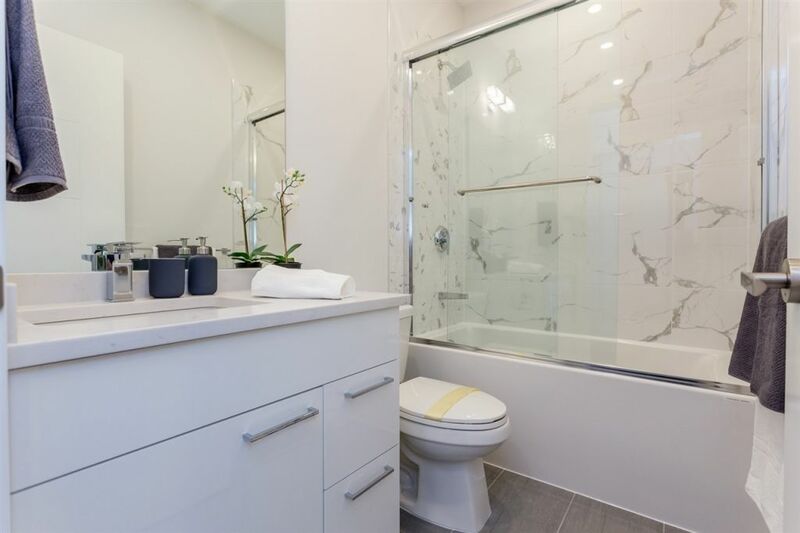 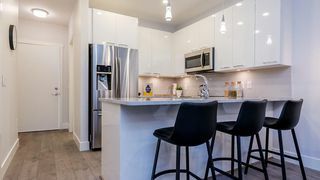 The Developer is setting a new standard for quality and craftsmanship, these homes will include modern finishings, stainless steel appliances, Italian granite counters, laminate floors and air conditioning. 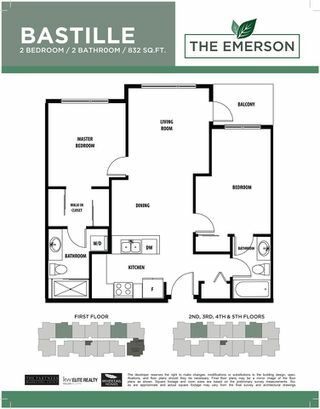 Excellent functional FLOOR PLAN featuring 2 Spacious bedrooms separated by the Living & Dining rooms for maximum privacy, each with their own full ensuite bath, good size living area & balcony. 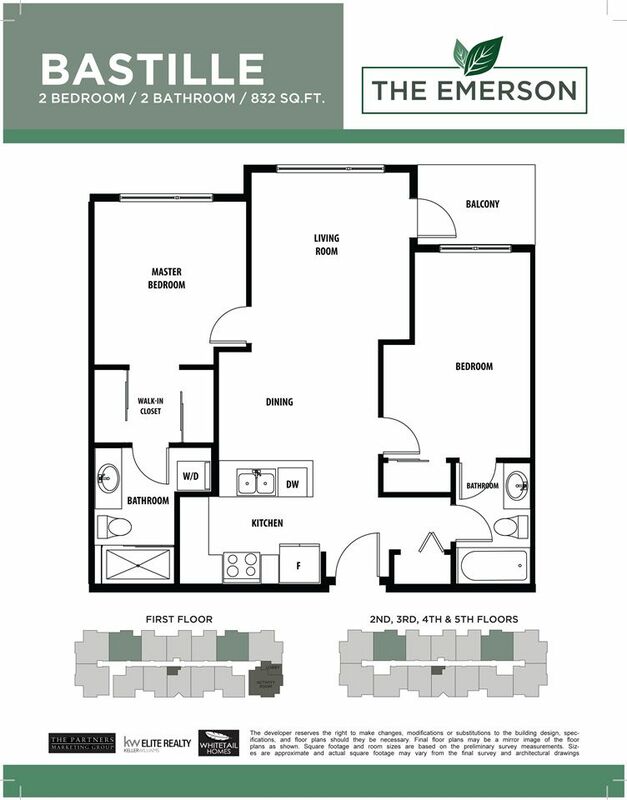 Living at the EMERSON provides you the conveniences of being within walking distance to shopping, restaurants, recreation center and The ACT (Arts Centre and Theatre), Farmer's Market during the summer, transit, easy access to Abernathy/GE bridge and West Coast Express. 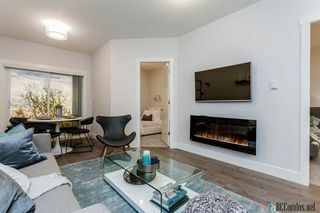 RENTALS & PETS ALLOWED!! 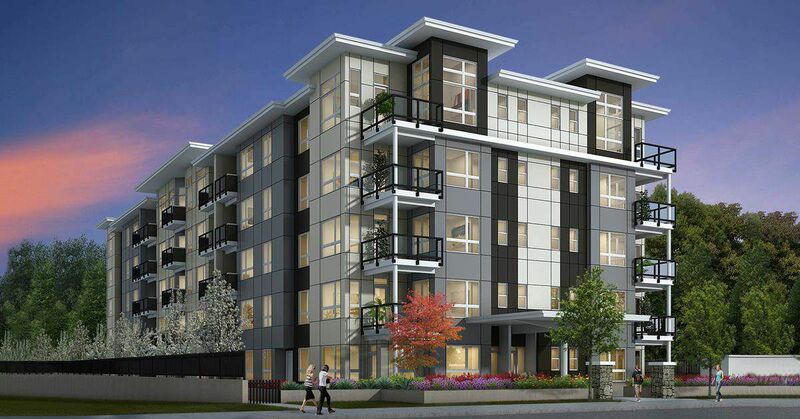 Completion date: June 17, 2019.